NOTICE: Activation key must be used on a valid Steam account. Requires internet connection. About the game Guide two brothers on an epic fairy tale journey from visionary Swedish film director, Josef Fares and top-tier developer Starbreeze Studios. Control both brothers at once as you experience co-op play in single player mode, like never before. Solve puzzles, explore the varied locations and fi… ght boss battles, controlling one brother with each thumb stick. 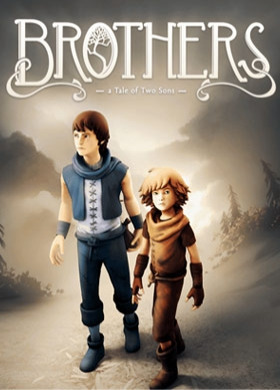 This is one journey you will never forget.Key Features Concurrent Gameplay – control the two brothers independently on one controller Puzzle and challenges for 2 – using unique qualities of big and little brothers (strength/size/speed etc) The Brothers – unique abilities and can achieve more together than they can individually. Game Director, Josef Fares – Established film director with a passion for Brothers. Narrative above the ordinary – an emotional story told without words. System Requirements OS: Windows XP SP3 Processor: 2.4 GHz Dual Core Processor Memory: 2 GB Hard Disk Space: 2 GB free Video Memory: 512 MB Video Card: NVIDIA GeForce 8600 /ATI Radeon HD 2600 Sound: DirectX 9.0c Compatible Other Requirements: Initial installation requires one-time internet connection for Steam authentication software installations required (included with the game) include Steam Client, DirectX 9, Microsoft .NET 4 Framework, Visual C++ Redistributable 2010, and AMD CPU Drivers (XP Only/AMD Only) Developed by Starbreeze Studios. Published by 505 Games. 505 Games and the 505 Games logo are registered trademarks of 505 Games S.r.l. All other marks and trademarks are the property of their respective owners. All rights reserved.